Joseph E. “Joe” Sitzman, age 71, of Evansville, IN, passed away Tuesday, March 19, 2019, at Linda E. White Hospice House after fighting multiple myeloma for over 5 years. Joe was born December 4, 1947, in Tupelo, MS, to the late John and Emily (Fowler) Sitzman. He attended Memorial High School and graduated from Harrison High School in 1966. Joe was a Veteran in the United States Navy, and he was very proud of his military service. Joe served from 1966-1971 during the Vietnam War, while being stationed in Winter Harbor, ME, and Naples, Italy. Joe was a member of Holy Rosary Catholic Church and worked in the Research Department at Bristol-Myers Squibb where he retired after 35 years. Joe and his wife, Vel, then enjoyed traveling the country as well as England and Scotland. He became a member of the Remote Control Club, building and flying model planes. After his illness made it difficult to stand, he turned his talent to building and restoring model ships. At the time of his death, Joe was working on a scale model of a Bluenose Schooner. He is survived by his beloved wife of 52 years, Velmarie (Withrow) Sitzman; son, Shane Sitzman of California; daughter, Sarah Weaver (Mike) of Florida; granddaughters, Taylor, Victoria, and Katelyn; father-in-law, Charles Withrow; brothers-in-law, Mitchell Withrow and Don Withrow (Fran); aunt, Jeri Clayton (Ellis), special cousin, Francis Sue Dyer; stepbrothers, Joe Stoltz (Terry) and Gary Stolz (Sharon); stepsisters, Diane Besing (Skip) and Sue Ellen Keller. He is preceded in death by his parents; mother-in-law, Nellie Withrow, stepmother, Rosemary Sitzman; special aunts, Erma Estes and Lorine Dye; and special cousin, Susan Lewis. Mass of Christian Burial will be held at 10:00 a.m., Saturday, March 23, 2019 at Holy Rosary Catholic Church, 1301 South Green River Road, Evansville, with Father Bernie Etienne officiating. Burial will be at a later date in St. Joseph Catholic Cemetery. 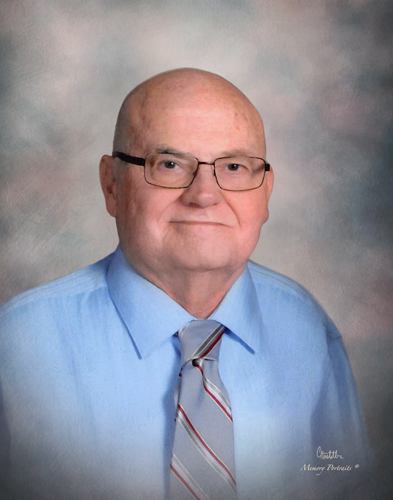 Friends may visit from 3:00 p.m. until 6:00 p.m., Friday, March 22, 2019 at Boone Funeral Home East Chapel – A Family Tradition Funeral Home, 5330 Washington Avenue, Evansville and from 9:00 a.m. until 10:00 a.m., Saturday, March 23, 2019 at Holy Rosary Catholic Church. A Memorial Service will be held at 6:00 p.m., Friday, March 22, 2019 at Boone Funeral Home East Chapel where full military rites will be rendered by the American Legion Kapperman Post 44. Memorial Contributions may be made to: Gilda’s Club at 5740 Vogel Road, Evansville, IN 47715 or Linda E. White Hospice House at 611 Harriet Street, Evansville, IN 47710.